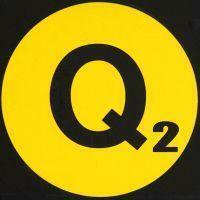 “On Wednesday, Feb. 1 at 7 pm in The Greene Space, Q2 Music presents a live concert and videocast with a star-studded lineup of composer-performers from this season’s hotly-anticipated Ecstatic Music Festival 2012. 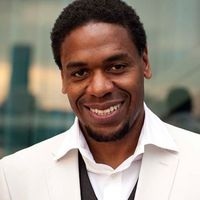 Hosted by WQXR’s Terrance McKnight, the show includes performances by composer-percussionist Jason Treuting of So Percussion, multi-instrumentalist Angélica Negron of Arturo en el Barco, and musical polymath Jherek Bischoff of bands including Xiu Xiu and Parenthetical Girls. The evening also features conversation with composer and Ecstatic Music Festival curator Judd Greenstein. At the nexus of the active, New York-centric indie-classical scene, Merkin Concert Hall’s Ecstatic Music Festival made a name for itself in its inaugural year as a ground-breaking series emphasizing vibrant, adventurous ensembles and unlikely collaborations between composers from the pop and classical realms. In this its second year, the festival returns with an exciting new line-up of artists from diverse musical backgrounds and its signature emphasis on curiosity, risk and discovery. 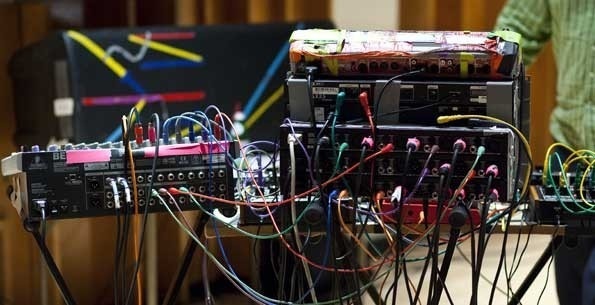 “On Wednesday, Feb. 1 at 7 pm in The Greene Space, Q2 Music presents a live concert and videocast with a star-studded lineup of composer-performers from this season’s hotly-anticipated Ecstatic Music Festival 2012. 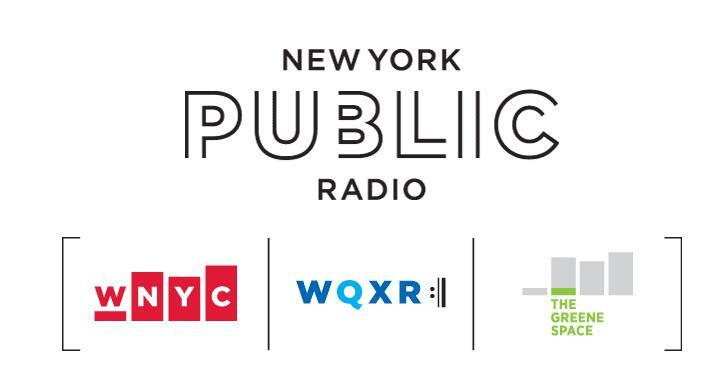 Hosted by WQXR’s Terrance McKnight, the show includes performances by new-music polymaths Jason Treuting, Angélica Negron, Sxip Shirey and Jherek Bischoff, as well as a conversation with composer and Ecstatic Music Festival curator and founder, Judd Greenstein. At the nexus of the active, New York-centric indie-classical scene, The Ecstatic Music Festival made a name for itself in its inaugural year as a ground-breaking series emphasizing vibrant, adventurous ensembles and unlikely collaborations between composers from the pop and classical realms. In this its second year, the festival returns with an exciting new line-up of artists from diverse musical backgrounds and its signature emphasis on curiosity, risk and discovery. Toy Pianos, accordion, electronics and bandsembles take over the L&L Festival. “Cease the last full month of Summer with the Look & Listen Festival running through August here on Cued Up. For the fest’s third concert of four, enjoy two world premieres by the delightfully unclassifiable drummer/composer John Hollenbeck and his group The Claudia Quintet with Theo Bleckmann, a world premiere by past Q2 composer-portrait Angélica Negrón and works by toy piano wiz Phyllis Chen and textural magician Zibuokle Martinaityte. You can enjoy the first two concerts here (Part I) and here (Part II) for more exciting new works from this year’s L&L Festival, but tune in this Sunday to marvel at Part III’s fireworks: The Claudia Quintet reconciles sputters of pointillist post-jazz with heartfelt lyricism via Bleckmann’s crooning and Hollenbeck’s writing; Chen plays a mélange of housewares, mixing bowls, and toy piano to produce a one-woman orchestra that winks at Gamelan music; Ms. Martinaityte teases at Eastern-Euro modality, while conjuring up some breathtaking swells that sound more like a synthesizer than the sax/bass trombone/accordion trio. This edition of Cued Up is hosted by Terrance McKnight. The ASCAP Deems Taylor Radio Broadcast Award honors two WQXR Radio/Q2 programs: Q2 with Terrance McKnight and Nadia Sirota on Q2. The winners will be honored at a special invitation-only ceremony and reception on Thursday, December 9, 2010 at the ASCAP Gallery, One Lincoln Plaza (1900 Broadway between 63rd and 64th Street), 6th Floor, New York, New York. Over the years, tens of thousands of dollars have been distributed in cash prizes to winning authors, journalists and broadcast producers and personalities. The Awards were established in 1967 to honor the memory of composer/critic/commentator Deems Taylor, who died in 1966 after a distinguished career that included six years as President of ASCAP. The 42nd Annual ASCAP Deems Taylor Awards are made possible by a generous grant from the Music Publishers Association (MPA). Founded in 1865, the Music Publishers Association is the oldest non-profit music trade organization in the United States.